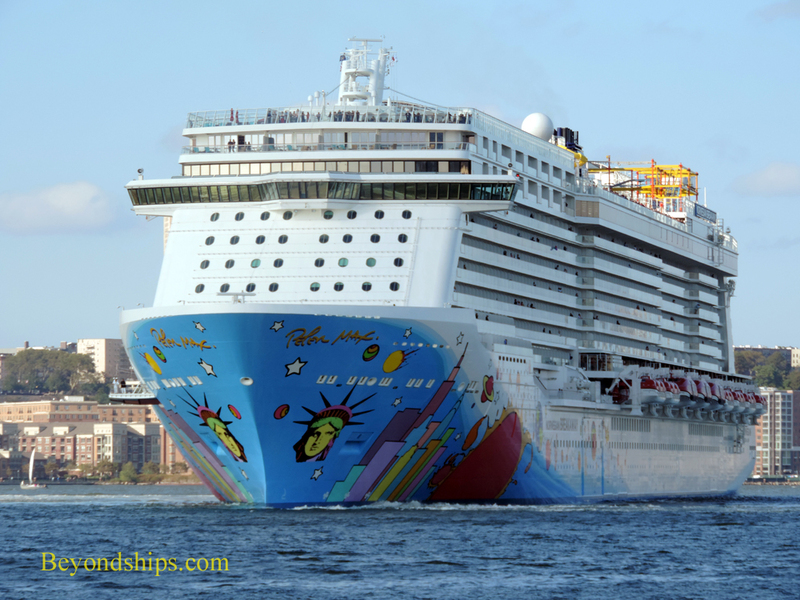 Norwegian Breakaway was designed with New York City in mind. 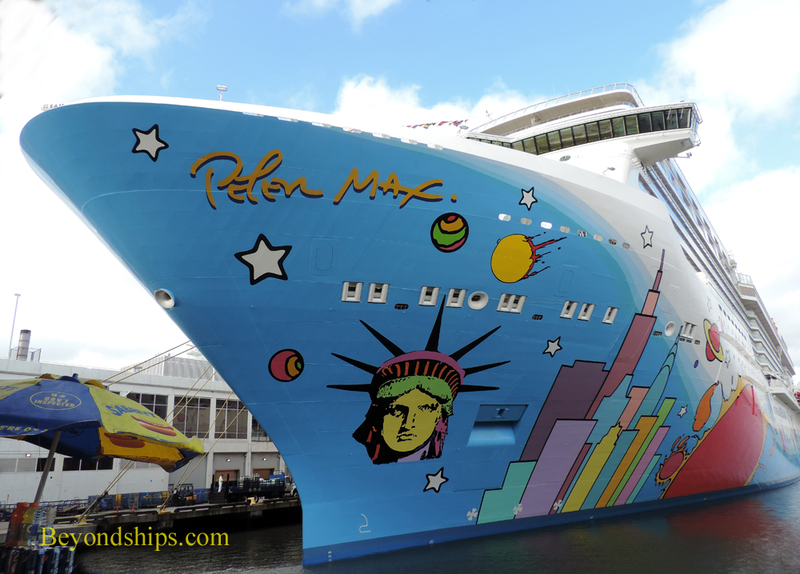 Indeed, the Peter Max mural on her hull includes such New York icons as the Statue of Liberty and the Manhattan skyline. 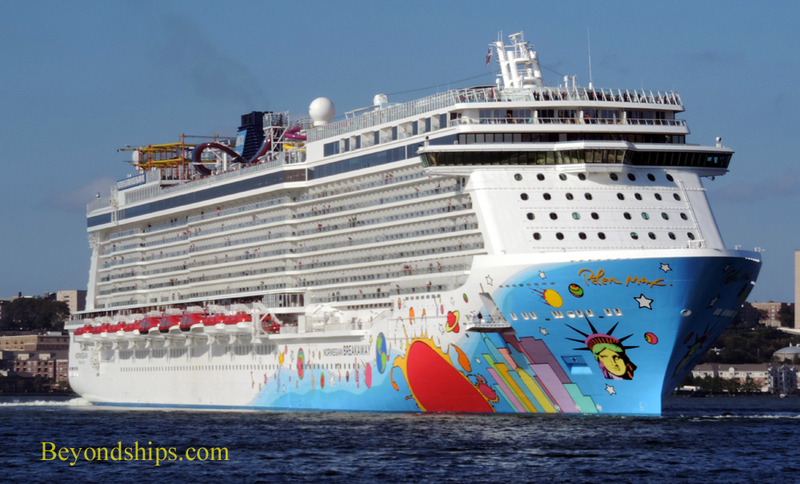 She is the largest cruise ship to date to be based in Manhattan. 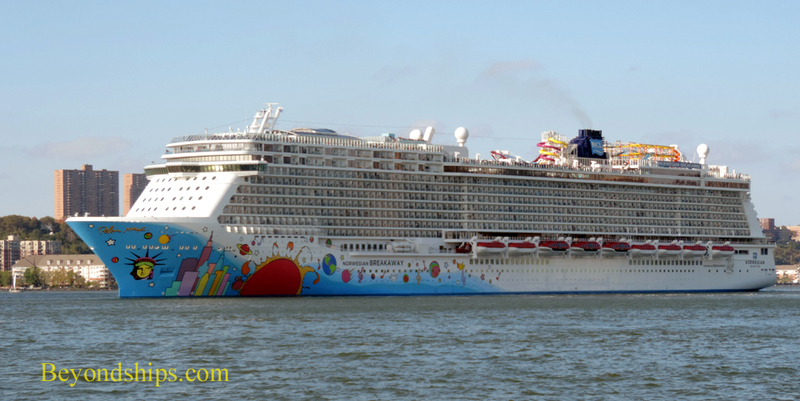 In this essay, we see Breakaway in New York just shy of the six month anniversary of her entry into service. It is a busy day in New York harbor. 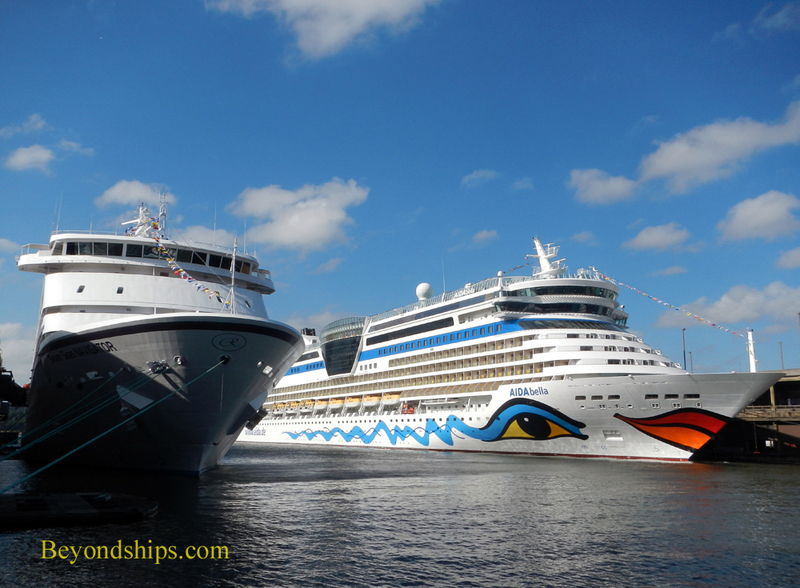 Just about every cruise ship berth is full. 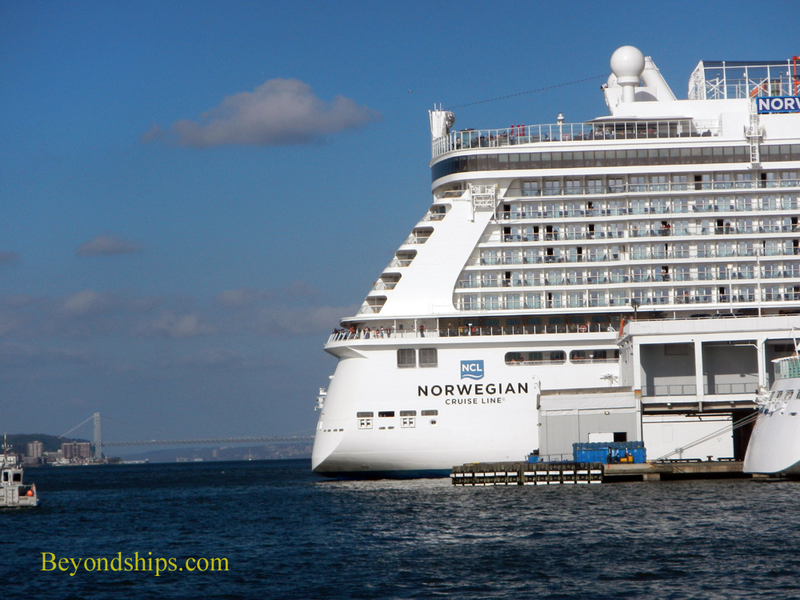 Crystal Symphony is at the Brooklyn Cruise Terminal and Explorer of the Seas is at the Cape Liberty Terminal over on the New Jersey side of the harbor. 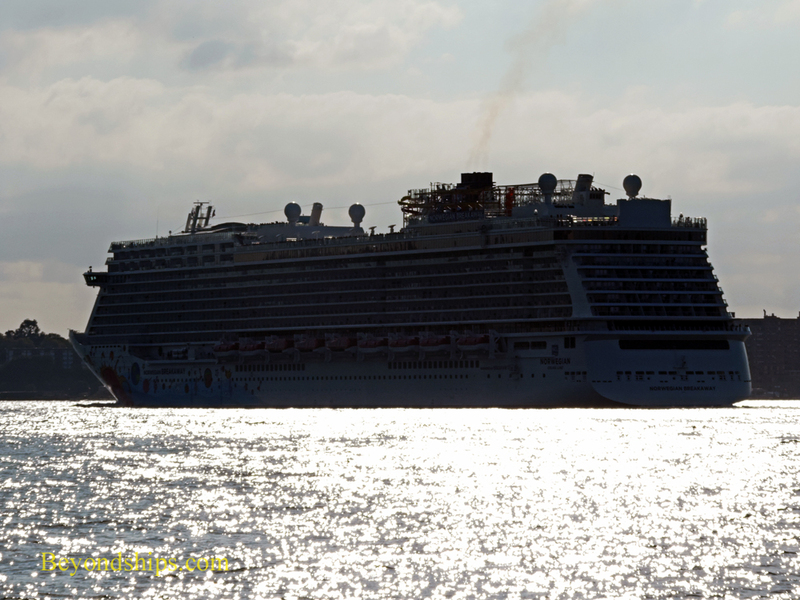 With Breakaway at the Manhattan Cruise Terminal (a.k.a. 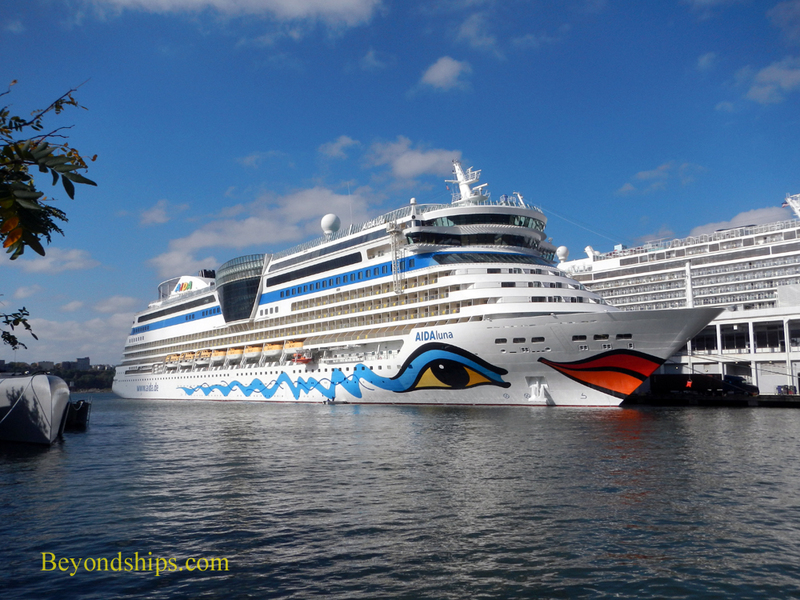 The Passenger Ship Terminal) that day were AIDAluna (below), Seven Seas Navigator and AIDAbella (right). 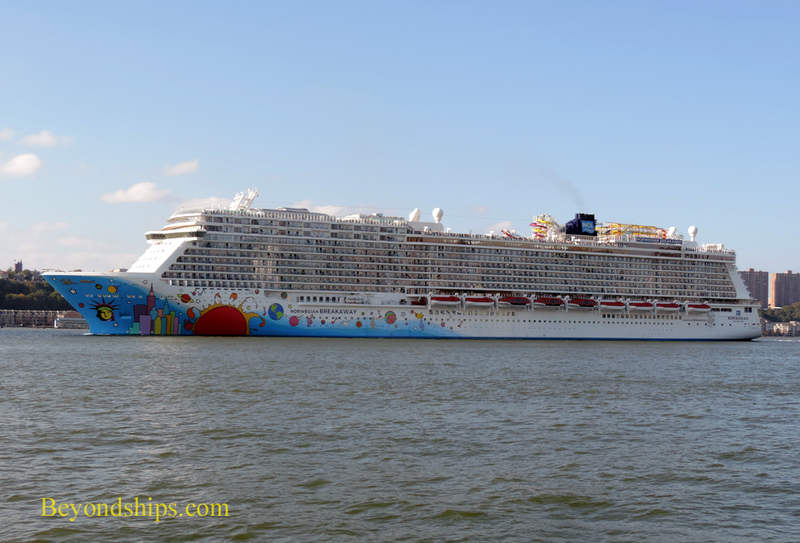 Breakaway was about to undertake her first cruise to The Bahamas, stopping first at Port Canaveral, then Norwegian's private island Great Stirrup Cay and finally Nassau. This would take her further south than she had ever been before. 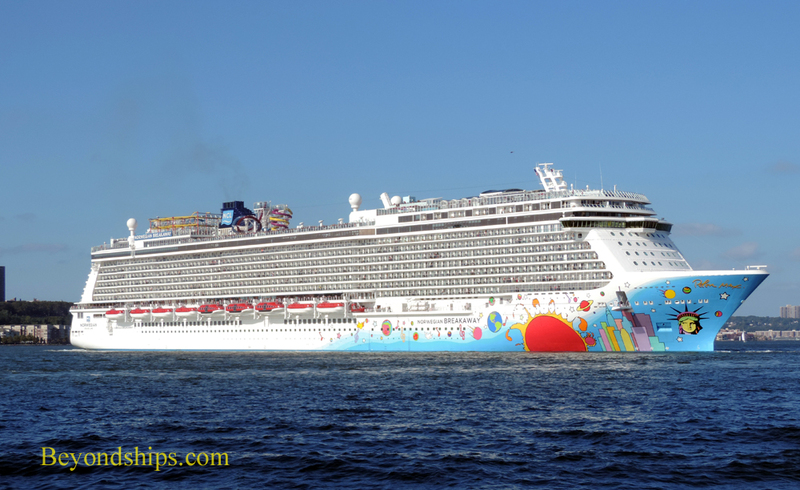 Therefore, the ship left her home berth earlier than she had done throughout the summer season when she was sailing to Bermuda. After backing out of the slip between Piers 88 and 90, Breakaway quickly begins a 90 degree turn to the right. Her turn completed, Breakaway sails down the Hudson (more precisely the North River at this point) past the Manhattan skyline and the Statue of Liberty and out to sea. (See separate article about what you see sailing down the river from Manhattan).